The Industrial Data Space is a virtual data space using standards and common governance models to facilitate the secure exchange and easy linkage of data in business ecosystems. It thereby provides a basis for creating and using smart services and innovative business processes, while at the same time ensuring digital sovereignty of data owners. The Industrial Data Space initiative was launched in Germany at the end of 2014 by representatives from business, politics, and research. Meanwhile, it is an explicit goal of the initiative to take both the development and use of the platform to a European/global level. In this talk we will discuss the requirements and architecture of the Industrial Data Space and discuss promising use cases. The architecture aims at creating data value chains be leveraging light-weight semantics expressed in domain specific Linked Data vocabularies. Although the Industrial Data Space aims at supporting a wide range of use cases in various domains, next generation manufacturing and production (Industry 4.0) is a key application area. Prof. Sören Auer is head of the Enterprise Information Systems department at Fraunhofer IAIS and professor for Enterprise Information Systems at the University of Bonn. His research interests include semantic web technologies, knowledge representation, engineering & management, usability, agile methodologies as well as databases and information systems. 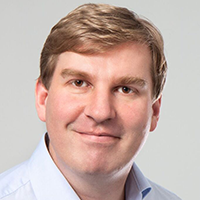 Sören was a founding chair of the European Data Forum and now leads its steering committee. Sören coordinated the FP7 flagship project LOD2 – Creating Knowledge out of Interlinked Data till 2014 and is now serving as coordinator of the H2020 CSA BigDataEurope and the H2020 MCSA ITN WDAqua – Answering Questions using Web Data. He serves on the board of directors of the Big Data Value Association. Apart from more than 9.000 citations of scientific articles Sören’s research group has gained world-wide reputation with projects like DBpedia, SlideWiki, LinkedGeoData and OntoWiki. Technologies developed in his department are in use by notable companies (e.g. Deutsche Telekom, Daimler, Samsung, Wolters Kluwer, Schaeffler). Complementing the scientific and economic dimension of smart and big data Sören is concerned with its societal implications (e.g. in the management and on the board of the Open Knowledge Foundation).